Now residing back in Australia, Geoff Achison has clearly earned a loyal US following since moving to Atlanta from Melbourne in 2007. Guitar Player Magazine readers voted Achison one of the ?Top Ten Hottest New Guitarists? in the world in 2008. Having taught himself to play in the isolation of rural Australia, he has developed a blues/funk style all his own. Unaware of how the sounds he was hearing on his limited record collection were produced, he invented some of his own techniques - without the aid of pedals or gadgets. As a result, watching this guy wrench sounds from his simple set-up can be something of a spectacle. Twenty years of touring and playing with scores of artists like Jorma Kaukonen, Les Paul, John Mayall, John Mayer, Levon Helm, Tommy Emmanuel, and Hubert Sumlin have challenged Geoff to play as passionately and skillfully as they do. Geoff started his worldwide explorations back in 1994 with his first trip to the US. The question was could he succeed playing the American originated music of blues, rock, soul and funk coming from the other side of the world, Melbourne, Australia? That was answered when Geoff won the coveted ?Albert King Award' in Memphis TN, 1995 and went on to score an endorsement deal with Gibson Guitars USA. Jorma Kaukonen has used him for the past 15 years as a Guest Guitar Instructor at his legendary Fur Peace Ranch in Ohio. Relocated back to Australia in Nov. 2008, he counts Australia, the UK and USA among his touring bases playing solo acoustic shows or hiring the best musicians available to form ?The Souldiggers' as he goes. ?The idea was to have a name that described the music and I greatly admired the blues philosophy - tapping into one's soul for honesty and truth. That's what ?Souldiggers' is meant to convey.? 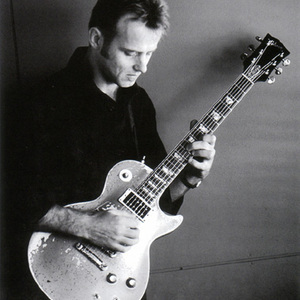 In 2007 Geoff was honored as the Band of the Year in the Australian Chain Awards and voted the Best Blues Band in Australia as well as the Best Male Performer in past years. He's released 12 CD's which have solidified him as a guitarist/bandleader/vocalist of high regard. He and his bands have been nothing less than world-class without diluting the unique view and style his Australian roots have given him. Geoff Achison is a musician of remarkable ability who has forged his own path and won fans all over the world. Having taught himself to play in the isolation of rural Australia, he has developed a blues/funk style all his own that can be delicate one moment and explosive the next. Unaware of how the sounds he was hearing on his limited record collection were produced, he invented some of his own techniques - without the aid of pedals or gadgets. Just watching him wrench a myriad of sounds from his simple set-up can be something of a spectacle. He is also a very capable vocalist with a gritty, soulful quality to his voice. Inspired by the great Blues and R&B music of yesteryear, Geoff's live set features an infectious mix of gutsy original tunes, improvised jams and dynamic new arrangements of blues & soul classics. Growing up in the small town of Malmsbury in south eastern Australia, Geoff developed a passion for American blues music and taught himself to play on a beat up instrument he discovered 'under the stairs' of the family home. In his early 20's he found employment as lead guitarist with Melbourne's top blues band 'Dutch Tilders & The Blues Club'. After 5 years relentless touring around Australia Geoff departed to pursue his own musical ideas and formed the first incarnation of his own band 'The Souldiggers'. He formed his own Jupiter 2 Records in 1994 with fellow music enthusiast Nic Quittner and released the first of many recordings of his original blues/funk/soul flavoured materiel. These early recordings were well recieved by fans & critics alike and encouraged Geoff to take his music to other parts of the world. Geoff started his worldwide explorations in 1995 with his first trip to the USA. He represented the Melbourne Blues Society at the International Blues Challenge in Memphis and won the coveted Albert King Award for his guitar skills. He went on to accept an endorsement deal with the Gibson guitar company's acoustic division. He formed a US based Souldiggers group in 1998 and recorded his third album 'Gettin' Evil' in Portland, Oregon. Geoff has also conducted his guitar workshops at Jorma Kaukonen's Fur Peace Ranch guitar camp in Ohio. He moved to London in 1997 to establish a UK following. Some tough touring and perseverance early on led to appearances on BBC radio and the recording of a live album with his British Souldiggers group. Geoff was featured on the cover of Blues In Britain magazine July 2009. His annual tours have extended throughout Australia, the UK and USA playing either his immensely popular Solo Acoustic shows or hiring the best musicians available to form The Souldiggers as he goes. He has won a swag of awards over the years for writing, performing and recording. In 2007 Geoff & The Souldiggers picked up the Chain Blues Music Award in Australia for ?Group Of The Year' and a Guitar Player Magazine readers poll voted Geoff one of their 'Top Ten Hot New Guitarists' in June 2008.